Many see benefits from the Putin/Trump meeting. Putin himself sees benefits in the meeting as does Trump. Putin sees hope of improving relations between the two governments. 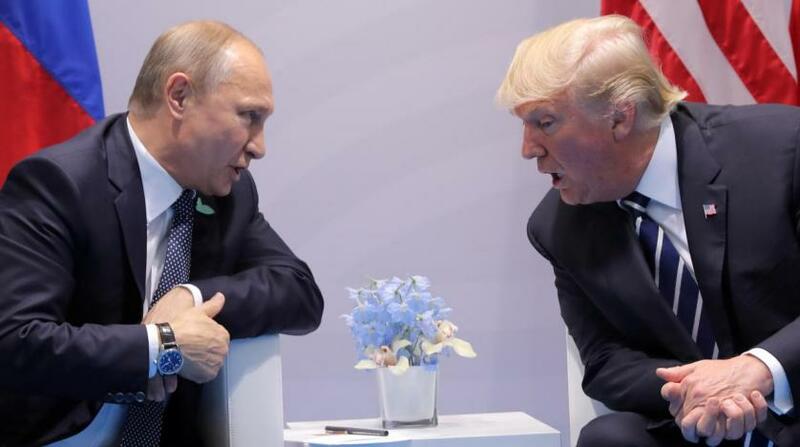 Of course, the “strained relations” are entirely due to Washington, which has demonized both Russia and Putin with false accusations and hostile acts such as illegal sanctions. It was miscalculation for Washington to expect Russia to give up its Black Sea naval base to Washington’s coup in Ukraine. What can an agreement be based on? Bolton’s position has been opposed to making any agreement with Russia or cooperating with Russia in any way. From the neoconservative standpoint, Russia is in the way of US world hegemony. As the neoconservative foreign policy doctrine states, it is a principal US goal to prevent the rise of any country that could serve as a check on American unilateralism. Russia is a challenge to the American World Order because Russia stands in the way of the American unipolar world. A successful summit will require Trump to reject this neoconservative doctrine. If Trump can pull this off with Bolton sitting by him, Trump’s critics will look very silly. Do Bolton and the Deep State have a way of baking failure into the summit that will ensure the continuation of Russia’s enemy status, thereby sustaining the enormous budget and power of the US military/security complex? Is Trump a superman who can overcome this powerful vested interest about which President Eisenhower warned Americans in 1961? How much stronger is this complex more than half a century later after being nourished by decades of Cold War and War on Terror? Assad’s view has the evidence on its side. One of Trump’s first actions was to unilaterally pull out of the multi-nation Iran nuclear agreement. There is no evidence that supports the hopeful Russian view.